Here’s the latest exciting news about children’s books. For age 9+ (and Harry Potter fans). 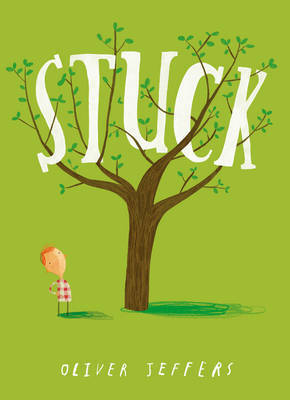 Here’s another children’s book from a celebrity: Dermot O’Leary’s turn this time. For age 5+. Published on 21/9/17. With illustrations by Emma Chichester Clark. For age 3+. This book was published on 30/11/17 and comes with an audio CD. Published on 5/10/17 and for age 9+. 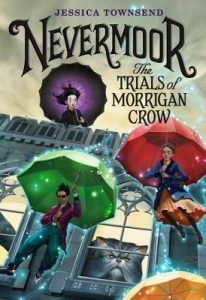 The former Children’s Laureate’s new book was published on 2/11/17 and is for age 9+. 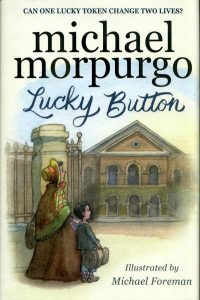 ‘Lucky Button’ is a time slip story that interweaves the lives of two boys: Jonah and Nathaniel. Struggling with his own complications, Jonah meets the now grown-up ghost of Nathaniel – a Foundling child from the time of Handel (18th century). For age 3+ Published on 2/11/17. The host of TV’s QI, Sandi Toksvig, has published several books for kids. ‘Hitler’s Canary’ is set in Denmark in 1940 and features Bamse and his theatrical family. It tells the story of the Danish struggle against German occupation and the smuggling of Jews to safety in Sweden. ‘A Slice of the Moon’ follows the fortunes of Slim Hannigan – a young girl growing up in Ireland at the time of the potato famine. Slim’s father swaps the family pig for a small printing press and sets in train a series of events that lead to the family emigrating to America. The author of ‘The Storm Whale’ published his new book on 7/9/17. The writer / illustrator’s new book (inspired by the birth of his son) was published on 14/11/17. There’s a fantastic little trailer on YouTube. For age 3+. 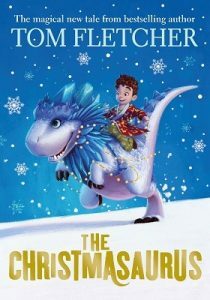 McFly person Tom Fletcher follows ‘The Christmasaurus’ with ‘The Creakers’. Published on 5/10/17 and for age 7+. 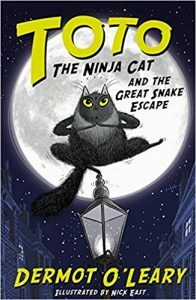 It was published on 5/10/17 and www.lovereadingforkids.co.uk has it for age 7+. 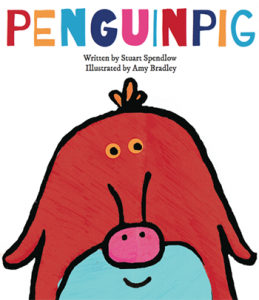 Visit the website www.penguinpig.co.uk for further info. A companion book entitled ‘Monkeycow’ is available. Grace R. in 6JH regularly updates us with the latest David Walliams’ news. Grace informed us that his new book – Bad Dad – was published on 2/11/17. 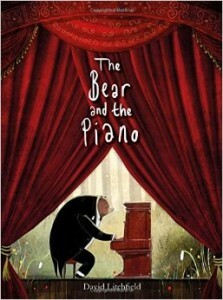 The Australian lyricist and composer of ‘Matilda the Musical’ has published a children’s book. 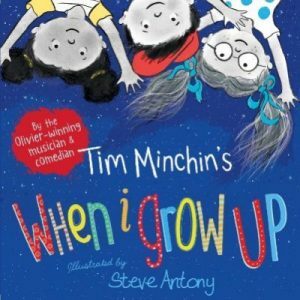 ‘When I Grow Up’ is illustrated by Steve Antony and it takes a humorous and moving look at adult life from a child’s perspective. It was published on 5/10/17. For age 4+. Michael Morpurgo (the former Children’s Laureate) has a new book out: ‘Toto – The Dog-Gone Amazing Story of the Wizard of Oz’ is a surprising twist on L.Frank Baum’s original story. 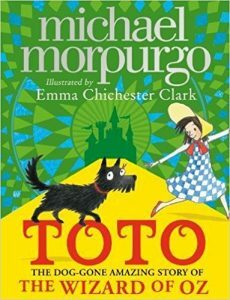 In Morpurgo’s version, it’s Papa Toto who tells his pups the story of Dorothy, the twister and Oz ! Published on 12/9/17 and for age 8+. For age 3+. Published on 1st September. 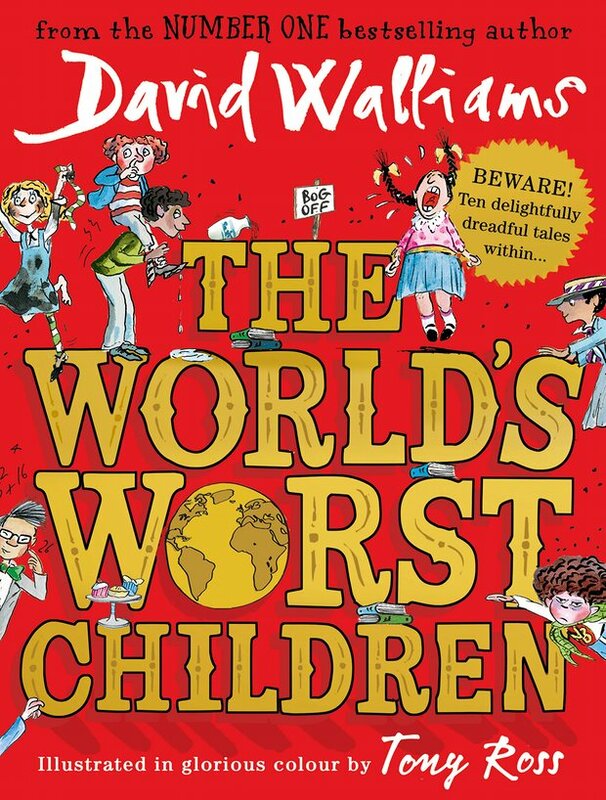 This brand new edition of Roald Dahl’s final children’s book was published on 7th September. 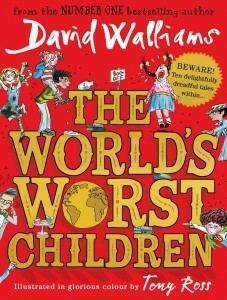 It has been re-titled to reflect Dahl’s original name for the book. 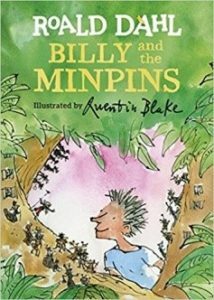 ‘Billy and the Minpins’ is the first time that Quentin Blake has illustrated a Roald Dahl story for nearly 20 years. It is the story of heroic Billy who saves the Minpins, tiny tree-dwelling people whose children are the size of matchsticks, from the fearsome Gruncher. For ages 5 to 12. As the plane crashes into the canopy, Fred is suddenly left without a choice. He and the three other children may be alive, but the jungle is a vast, untamed place. 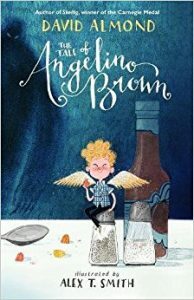 This fab book was published on 10/8/17 and is for age 9+. 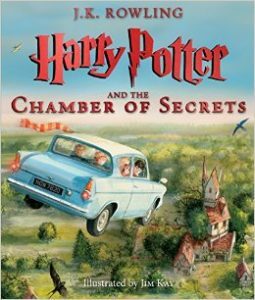 The third book in the series receives Jim Kay’s inspired artistic treatment. Jim Kay won the Kate Greenaway Medal in 2012 for his art work in Patrick Ness’s ‘A Monster Calls’. It will be published on 3/10/17. For age 9+. 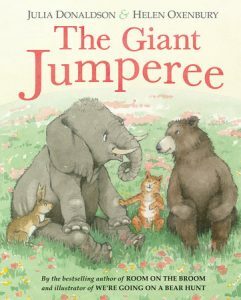 This book is based on Julia Donaldson’s 2000 play ‘The Giant Jumperee’. Rabbit’s friends Cat, Bear and Elephant come to help, but they’re no match for the mysterious booming voice. Published in hardback on 6th April and for age 3+. Harbet had a hat. His Nana had knitted it for him when he was little. Harbet likes his comfy knitted hat, but the others keep making fun of him: ‘OLD HAT ! OLD HAT !’ No matter what headwear he buys, Harbet cannot keep up with the latest fashions. As soon as he gets a brand new hat, it is already an OLD HAT ! It seems that Harbet will never fit in. But when one day he decides to go his own way, Harbet discovers just how much more fun it is to stop following others and think for yourself. For age 3+. It was published on 18/5/17. Gill Lewis is a children’s author, vet, wildlife enthusiast and tree house dweller. She has written several books for junior children, including: ‘Sky Hawk’, ‘White Dolphin’, ‘Moon Bear’, ‘Scarlet Ibis’ and ‘Gorilla Dawn’. 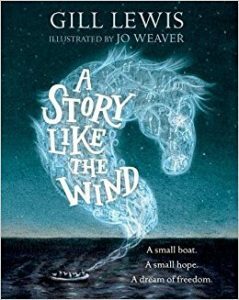 The beautifully illustrated ‘A Story Like the Wind’ – is a story of freedom, music and seeking refuge. A small group of refugees is crowded onto a small boat. One boy, Rami, has brought his violin. He tells the story of how the violin was made – and of a stallion that could run like the wind. A celebration of hope and the power of music and story. Published on 4/5/17 and for age 7+. The ‘Skellig’ author’s most recent book is illustrated by Alex T.Smith – the author of the ‘Claude’ series of books. Bert and Betty Brown have got themselves a little angel. Bert found it in his top pocket when he was driving his bus. Featuring Nancy, Jack and Alice form Class 5K, Acting Head Teacher Mrs Mole, Professor Smellie and a mysterious bloke in black who claims to be a school inspector. It was published on 4/5/17. The website www.lovereading4kids.co.uk has it for age 9+. Best-selling author Neil Gaiman is renowned for his retelling of traditional tales. Here, he brings a delightful crispness and humour to this touching story. 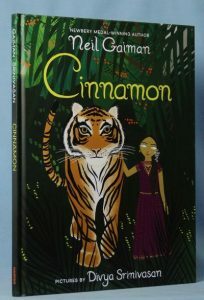 This beautiful book tells of how an Indian princess (who cannot see and never speaks) is cured in a most unusual way. Watch out for the tiger ! There’s a fab little trailer for the book on YouTube. This was published on 4/5/17 and is illustrated by Divya Srinivasan. For age 3+. 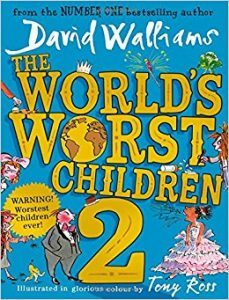 This is the second of David Walliams’ ‘World’s Worst Children’ series. It features ten more stories about a brand new gang of hilariously horrible kids, including Gruesome Griselda and Fussy Frankie. The book is illustrated in full glossy colour by Tony Ross. Coming soon: ‘The World’s Worst Children 3’ ! Tilly is seven and a half – and she’s about to make history. 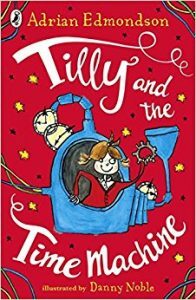 When Tilly’s dad builds a time machine in the shed there’s only one place she really wants to go: back to her sixth birthday party, when she ate too many cupcakes and her mummy was still here. But then something goes wrong! Tilly’s dad gets stuck in the past and only she can save him …Will they make it back in time for tea? These are wordless picture books. They take readers on a magical trip to unexpected places where amazing things can happen. As they look at the pictures, children have to tell themselves the story. 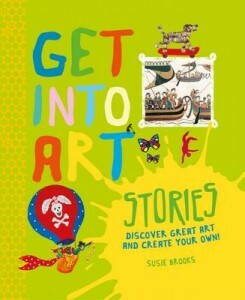 The art work is fab – and these books can be used for discussion or to inspire creative writing. For age 3+. ‘Journey’ was first published in 2013. ‘Quest’ was published in 2014. ‘Return’ was published in 2015. 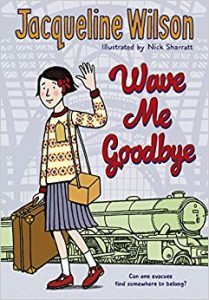 ‘Wave Me Goodbye’ is a World War Two story. Ten-year-old Shirley is evacuated with her schoolmates. 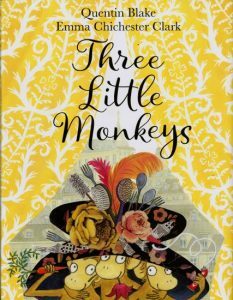 She’s sent to live in a strange house with the reclusive Mrs Waverley – along with two boys from the East End of London. Their experiences will change their lives forever. This is Jacqueline Wilson’s first World War Two story. 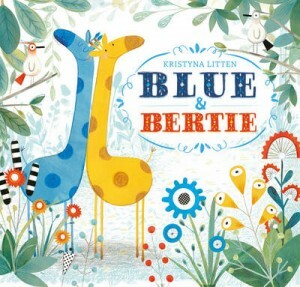 To read Lottie’s review, please go to the ‘Children’s Reviews’ section of this website. This was published on 18th May 2017 and is for age 7+. The author of the ‘How to Train Your Dragon’ series of books will publish the first of a new series in September. 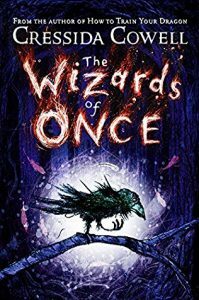 ‘The Wizards of Once’ is the story of a young boy wizard (yes – another one !) and a young girl warrior who have been taught since birth to hate each other like poison. It’s the thrilling tale of what happens when their two worlds collide. It will be released on September 19th 2017. A pirate hat, a sunny day, for Penguin Blue, a game to play ! Penguin Blue (star of the award-winning ‘Blown Away’) and his friends are back in a new adventure – and this time, they’re pirates ! 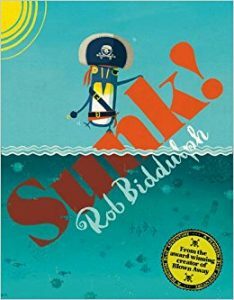 Sailing the seven seas in search of treasure, Captain Blue and his friends are unexpectedly SUNK! But with a shipwreck to explore and a mysterious stranger on a desert island to meet, they might still find some treasure after all . . . . This was published on March 9th and is for age 3+. 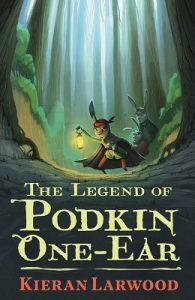 A mysterious storyteller rolls in from the snow one night and enchants a warren of young rabbits with the tale of Podkin One Ear – the son of a chieftain who went on to become a legend. This is a fab book – exciting, funny and a little sad at times – a great adventure. The first instalment of what promises to be a rather epic rabbit saga. This book was the winner of the Blue Peter Book Award 2017. It was published on 6/10/16 and is for age 9+. Donaldson and Cobb teamed up a year or two ago for ‘The Paper Dolls’. 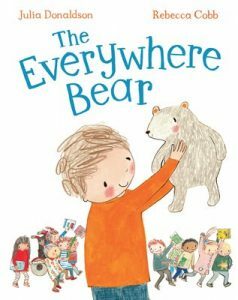 Their latest collaboration, ‘The Everywhere Bear’, starts in a Y1 classroom and then takes the reader (and the Everywhere Bear) on a fantastic journey. It’s written in rhyme and the illustrations are fab. It was published on 9/2/17 and www.lovereading4kids.co.uk has it for age 3+. 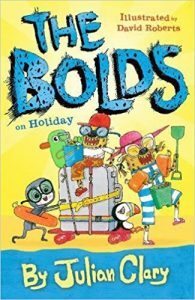 There are wonderful new laughs as the Bolds set off on holiday. The Bold family – that’s Mr and Mrs, the twins Bobby and Betty, Uncle Tony (whom they rescued from a safari park) and Miranda (a monkey who was rescued too) – are going camping to Cornwall. Simple enough except that the Bolds have a very BIG secret. Will they be able to keep everything they need hidden while they are away? Being the Bolds, things are bound to go wrong…. David Roberts’s brilliant illustrations make the most of Julian Clary’s hilarious story. Published on 2/2/17 and for age 7+. 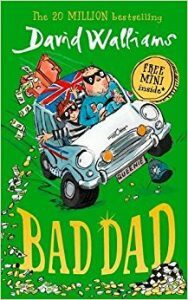 A new book by David Walliams – ‘Grandpa’s Great Escape’ – was released on September 24th (2015). Jack’s grandpa wears his slippers to the supermarket, serves tinned tongue for dinner and often doesn’t remember Jack’s name. But he can still take to the sky in a speeding spitfire ! A story of the bond between a small boy and his grandpa. 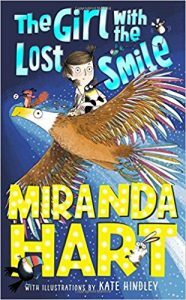 Spitfires over London and great escapes through the city – a high octane adventure full of comedy and heart. 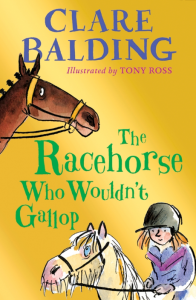 Children in Class 4PK have read this book – and many of them have bought it for themselves ! 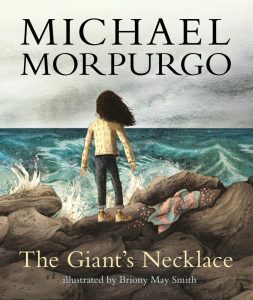 Michael Morpurgo has two new books on the way. The first of these – ‘My Father Is A Polar Bear’ – was released on September 3rd (2015). Drawing on the author’s own childhood experiences, ‘My Father Is A Polar Bear’ tells the story of two young brothers rediscovering their birth father in the most unlikely of places. This is a warm and delightful tale of family bonds. Scroll down for more about Michael Morpurgo’s forthcoming ‘An Eagle In The Snow’. 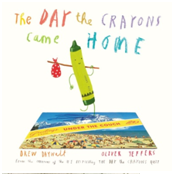 The sequel to ‘The Day The Crayons Quit’ by Drew Daywalt and Oliver Jeffers was published over the summer (2015). In ‘The Day The Crayons Came Home’, Duncan receives a stack of postcards from his lost, broken and forgotten crayons. This is really entertaining and every bit as good as its predecessor. Many children in school will already be familiar with ‘The Day The Crayons Quit’. Julian Clary has written several books for adults – but this is his first book for children. ‘The Bolds’ is very funny (in a Julian Clary sort of way) – and has lots of illustrations. The Bolds are hyenas living incognito in Teddington. Mr. Bold has a job – he writes jokes for Christmas crackers – and the whole family has to keep their tails tucked into their trousers. However, the man next door smells a rat….or a hyena ! Children in 4PK have read this book – and there’s a photo in the Reading Gallery. Written by Carol Ann Duffy and illustrated by Nicoletta Ceccoli, ‘The Tear Thief’ was published a few years ago. Each night, between supper and bedtime, the Tear Thief carries her waterproof, silvery sack – and steals the tears of every child who cries. But what does she do with all of those tears ? And why is she invisible ? It’s a poignant and beautifully illustrated story. A great story to sit down and read together. 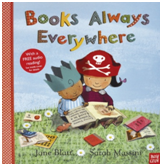 ‘Books Always Everywhere’ by Jane Blatt & Sarah Massini was published in 2013. This is a fab celebration of the physical book – whether it’s used as a chair, a hat, as part of a tower – or simply as – erm – a book ! The text rhymes and the illustrations are lovely. 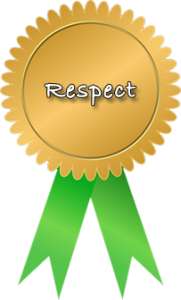 With a maximum of four words per page, it could be shared with all ages. Michael Morpurgo’s ‘An Eagle In The Snow’ – was published on October 8th (2015). This is apparently inspired by the true story of one man who might have stopped World War Two ! It’s 1940 and a train is under attack from German fighters. Sheltering in the darkness of a tunnel, the stranger in the carriage with Barney and his mum tells them a story to pass the time . . . .
‘Frankie’s Magic Football’ books are written by New York City F.C. midfielder and Chelsea and England legend Frank Lampard. All ten of these books are available from The Book People – and are aimed at age 5 years +. Combining a mixture of football and action, they are centred on the football-obsessed ‘Frankie’ character. ‘Where’s Will ?’ by Tilly (illustrator) and Anna Claybourne applies a ‘Where’s Wally ?’ approach to Shakespeare’s plays ! The book is organised into pairs of double page spreads. The first of the double pages gives an illustrated and brief narrative version of the play. The second double page provides a busy picture – children have to locate the bard himself and key characters from the play. It’s a hardback A4+ size book that is aimed at age 7 years +. 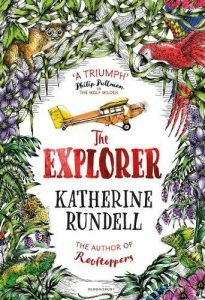 Katherine Rundell’s new book – ‘The Wolf Wilder’ – was published in September (2015). Her last book – ‘Rooftoppers’ – was widely praised. A wolf wilder teaches tamed animals to fend for themselves and Feodora’s mother is a wolf wilder and Feo is in training. They live in the snowbound woods of Russia. When the Russian army threatens her existence, Feo is forced to go on the run. This is a story of revolution and adventure and standing up for the things you love and fighting back……and, of course, wolves ! ‘How To Live Forever’ by Colin Thompson was published 20 years ago – but is well worth checking out. Peter and his family live among the Quinces in the cookery section of a mystical library – and at night, when the library comes to life, Peter sets out to find one missing volume: ‘How To Live Forever’. The art work in this book is fabulous. You’ll spend as much time looking at the pictures as reading the short text. This could be shared this with KS1 children and older. It’s definitely a book to read and explore with a partner – and could provide lots of ideas for writing. Michael Rosen’s ‘Uncle Gobb and the Dread Shed’ was published in June. The website www.lovereading4kids.co.uk named this as their June 2015 Book of the Month. 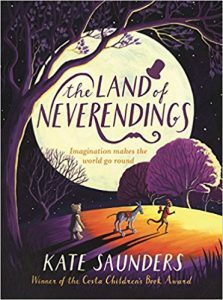 A member of Year Five is reading this at the moment – and it’s very funny. There are lots of illustrations and different fonts to break up the text. Possibly for Y3 and upwards. Children in KS2 listened to the first few chapters of this story in assembly on Thursday 24th September. ‘Whistling in the Dark’ by Shirley Hughes (daughter of T.J.Hughes – yes, him of the shop !) is set in and around Liverpool. This is Shirley Hughes’s second book for older children. It’s a story of air-raids, rationing, blackouts, the black market and friendship. As the Blitz worsens, teenage Joan and her friends make a discovery that will tear the whole community apart. Y4 and older – and ideal for those interested in WW2. Did You Know ? 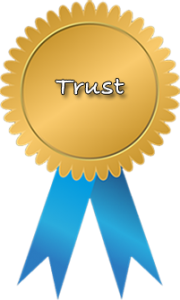 Upon reviewing research literature, Clark and Rumbold (2006) identified the main benefits of reading for pleasure as: reading attainment and writing ability; text comprehension and grammar; breadth of vocabulary; positive reading attitudes; greater self-confidence as a reader; pleasure in reading in later life; general knowledge; a better understanding of other cultures; community participation and a greater insight into human nature and decision-making. Children’s Laureate Chris Riddell has teamed up with Michael Rosen for ‘A Great Big Cuddle’. This is a new poetry collection – full of sound, rhythm, energy and laughter. 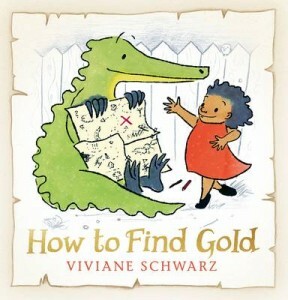 Year One teachers have shared this book with their classes. Ideal for children from Nursery age and upwards. 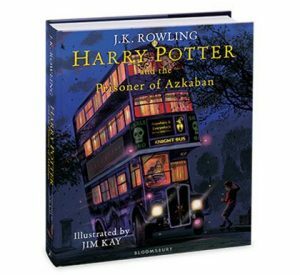 An illustrated edition of ‘Harry Potter and the Philosopher’s Stone’ was published in October (2015). 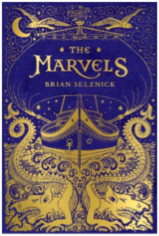 Brian Selznick’s ‘The Marvels’ was published last week. Brian Selznick wrote ‘The Invention of Hugo Cabret’, which was adapted for the big screen as ‘Hugo’ – directed by Martin Scorsese. The art work in Selznick’s books is amazing. Approximately two thirds of ‘The Marvels’ is illustrations. You can tell yourself the story by looking at the pictures ! ‘Molly Maybe’s Monsters: The Dappity Doofer’ by Kristina Stephenson was published at the end of August (2015). Molly Maybe lives in Smallsbury, a sleepy town where nothing much ever happens. At least, not above the ground ! Underneath is a magical world that is accessed by Molly’s ‘Mundervator’ machine. Children in Reception and KS1 listened to this story in assembly on Thursday 24th September (2015). Judith Kerr – author of ‘The Tiger Who Came To Tea’ and the ‘Mog’ stories – recently published a new book. Now 92 and still writing and illustrating, Kerr’s 1971 autobiographical novel ‘When Hitler Stole Pink Rabbit’ tells the story of her family’s escape from Nazi Germany in 1933. 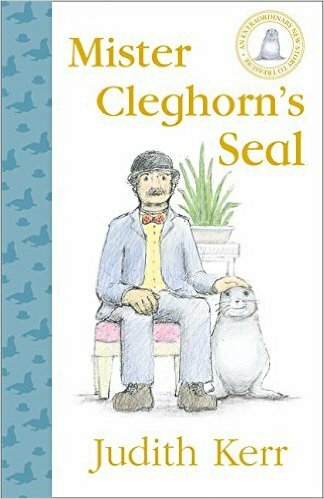 ‘Mister Cleghorn’s Seal’ (published on 10/9/15) is a lovely little story about a man who saves a seal pup. The text is broken up by the author’s own illustrations. The book is quite short – an adult could easily read it in about half an hour. Possibly for Y2 to Y4. 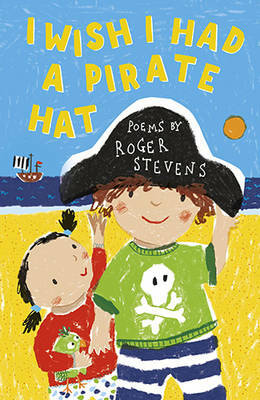 Described by www.lovereading4kids.co.uk as ‘poems to chase the clouds away’, the book is split into three sections: Fun Time, School Time & Home Time. For age 5 years+…….but could be read to younger children. 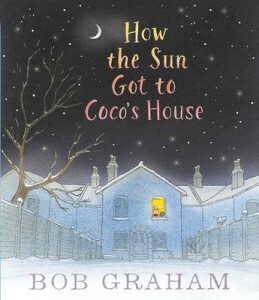 Bob Graham’s ‘How The Sun Got To Coco’s House’ was a summer 2015 publication. As Coco’s parents tuck her into bed, far away the winter sun is rising on a polar bear and her cubs. The book follows the sun across the sea and different lands and people, chasing the night, until it barges through Coco’s window ! Sounds wonderful ! 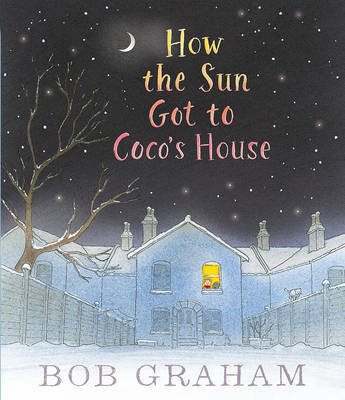 Bob Graham is Australian and is a winner of the Kate Greenaway Medal. For age 3 years+…but could be shared with all ages. 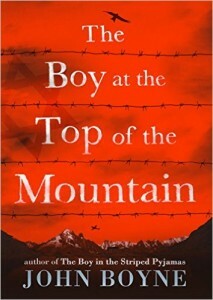 The author of ‘The Boy in the Striped Pyjamas’ returns with another WW2 story. Pierrot lives in France. His mother is French and his father is German. When Pierrot is orphaned, he is claimed by his father’s aunt Beatrix – who lives in the mountains – worryingly close to Hitler. 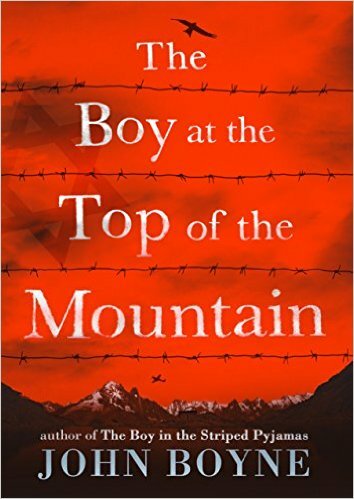 A moving story, with echoes of ‘The Boy in the Striped Pyjamas’. The website www.lovereading4kids.co.uk has it as age 11+. Published: 1/10/15. 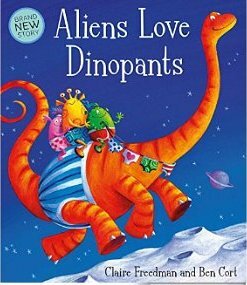 ‘Aliens Love Dinopants’ by Claire Freedman and Ben Cort was published on 8/10/15. When aliens crash-land in the jungle, they have no idea that they are about to stumble on the biggest stash of pants ever ! Dinosaurs, aliens, underpants and bags of fun for all ! A new book in this bestselling series. Written by Cerrie Burnell & illustrated by Laura Ellen Anderson, ‘Harper and the Scarlet Umbrella’ was published on 1/10/15. 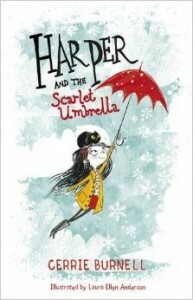 And so begins a charming story of a special little girl – and her adventures with a magical umbrella. ‘Poetry Pie’ – a new collection of poems from Liverpool’s Roger McGough – was published in October 2015. McGough taught at St.Kevin’s Comp in Kirby and was a lecturer at Mabel Fletcher College. 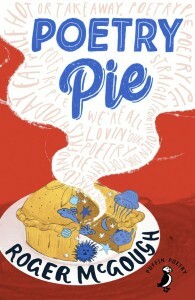 This new collection has over 50 poems, with themes ranging from food and animals to school and ghouls. The collection includes many of the poet’s own line drawings. For age 7+. 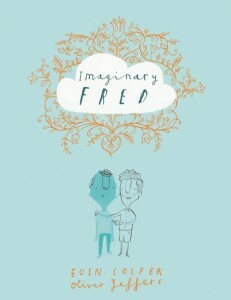 Eoin Colfer and Oliver Jeffers have combined forces to create ‘Imaginary Fred’. 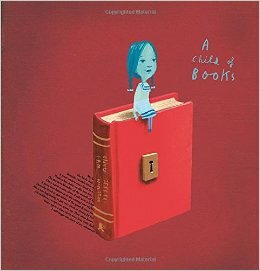 Published September (2015), www.lovereadingforkids.com describes it as ‘a truly unique work of art’. Sometimes, with a little electricity, or luck, or even magic, an imaginary friend might appear when you need one. 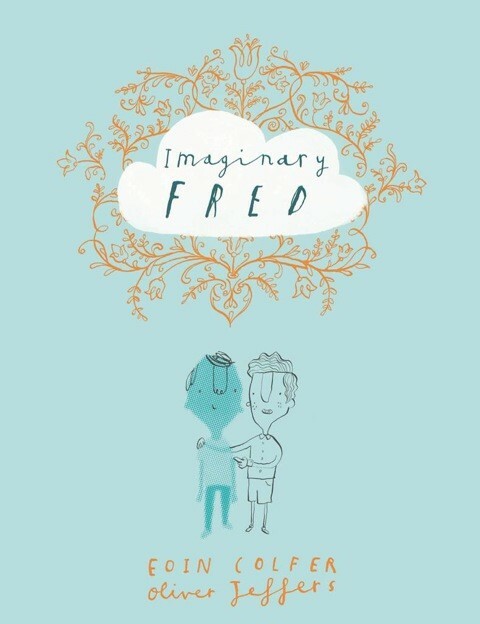 An imaginary friend like Fred. Fred floated like a feather in the wind until a lonely little boy wished for him and found a friendship like no other. For age 3+. 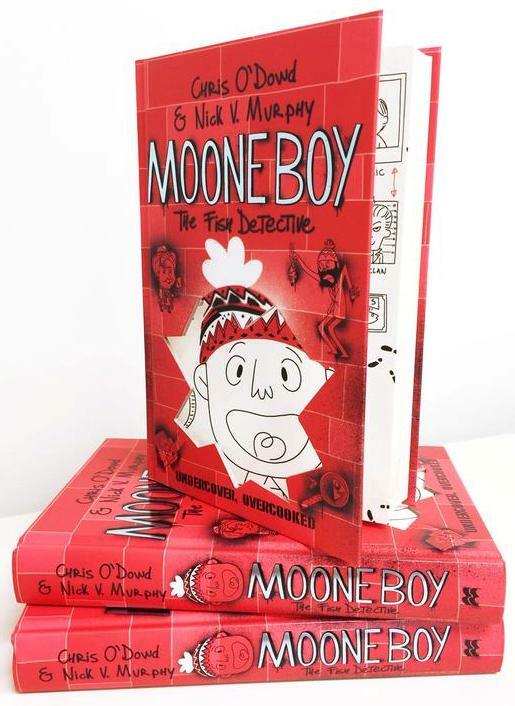 Moone Boy: The Fish Detective by Chris O’Dowd and Nick Vincent Murphy was published on 22/10/15. This is another episode in the life of hapless eleven year old Martin Moone. 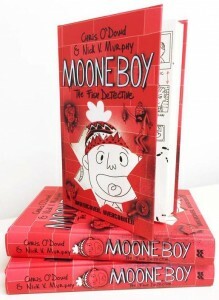 Christmas is coming, but money in the Moone household is tight – and Martin realises that he’s going to have to buy his own Gameboy (it’s the 1980s) – and this means getting a job. But something fishy is going on in Francie ‘Touchy’ Feeley’s Fishatorium ! For age 9+. An illustrated version of Walter de la Mare’s poem ‘The Ride-by-Nights’ was published at the beginning of September…. 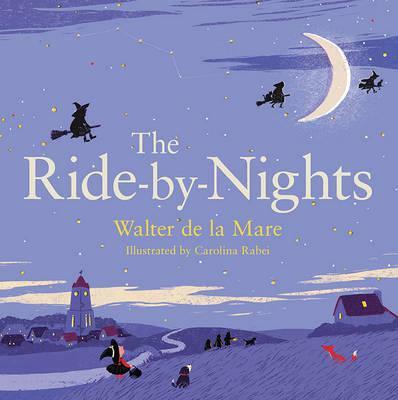 Carolina Rabei’s illustrations do full justice to de la Mare’s beautiful poem. For ages 11+…but capable Y5 and Y6 readers could easily manage it. 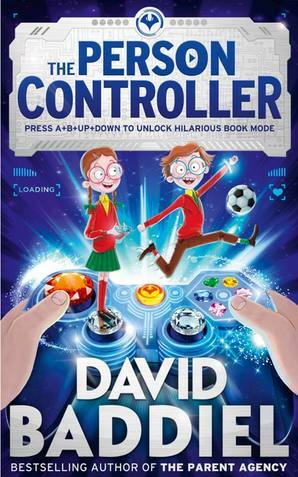 David Baddiel’s new novel – ‘The Person Contoller’ – was published on 8th October (2015). David Baddiel allows his imagination free-rein – with hilarious results. Ellie is – understandably – upset when her video game controller gets stuck in the cheeks of her father’s Y-front-panted bottom. It no longer works properly, and anyway, she doesn’t want to touch it – would you? 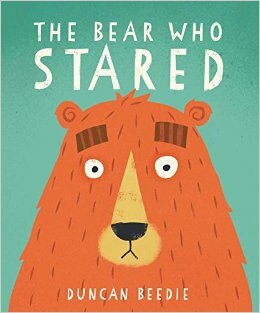 Children in KS2 listened to the start of this book in assembly on 10/11/15. 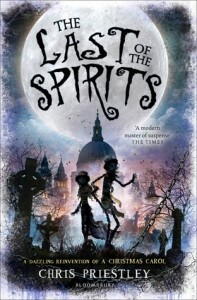 This book was shortlisted for the Waterstones Children’s Prize in 2014. 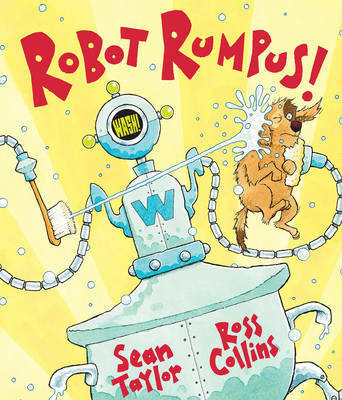 Children in Key Stage Two listened to the first few pages of this book in assembly on 5/11/15. Many children were keen to collect a free promotional copy of the first chapter. This was shortlisted for the Roald Dahl Funny Prize in 2012. It is a hilarious book with a wonderful surprise ending. Children in Key Stage One listened to this story in assembly on 5/11/15. Children in KS1 listened to this story in assembly on 10/11/15. Everybody was keen to join in by shouting ‘BOO !’ at the right times ! Eoin Colfer’s ‘The Seal’s Fate’ was published on 15/10/15. It’s a short and often very funny novel that tells the story of a boy facing a difficult decision: should he follow his father’s instructions or ignore his responsibility. Illustrated throughout. For age 9+. 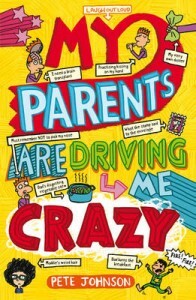 ‘My Parents are Driving Me Crazy’ by Pete Johnson was published on 1/9/15. It is the sequel to ‘How to Train Your Parents’ and ‘My Parents are Out of Control’. Louis is a would-be comedian – and in this book, his parents are forced to swap roles – and total chaos follows. Brilliantly funny. For Age 7+. This won the Scottish Book Awards 2015 in the age 3 to 7 category. Cook-bot, Clean-bot, Wash-bot and Book-bot are all designed to let mum and dad go out, leaving their daughter in safe hands. What could possibly go wrong ? For age 3+. This was published on 5/11/15. It tells the story of three lads and one girl who set off one hot summer morning to run from their homes in Newcastle to South Shields – a distance of 13 miles – exactly half a marathon. 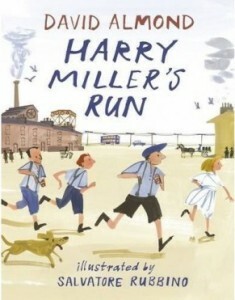 Old Harry (now walking with a frame) tells Liam the story of that run that took place many, many years ago….and Liam has just got a place in the junior ‘Great North Run’. A joyful and uplifting story with full colour illustrations by Salvatore Rubbino. For readers aged 7 years and older. 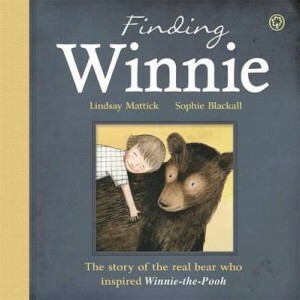 This is the moving and true story of the real bear named Winnie who eventually met up with a boy called Christopher Robin at London Zoo. In 1914, Canadian vet Harry Colebourne was on his way to tend horses in World War 1. He followed his heart and rescued a baby bear – and named her Winnie. Harry Colebourne’s real-life great granddaughter, Lindsay Mattick, tells this true story – with great illustrations by Sophie Blackall. The book has an album at the back that contains archive material from a century ago. Age 3+. What would Christmas be without a ghost story? Chris Priestley, master of the macabre, has written one that will send shivers down the spine and can be enjoyed by all the family. Sam and Lizzie are freezing and hungry on the streets of Victorian London. When Sam asks a wealthy man for some coins, he is rudely turned away. 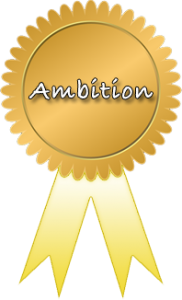 Months of struggle suddenly find their focus, and Sam resolves to kill the man. 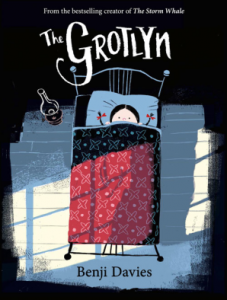 This was published on 5/11/15 and is a November book of the month on the Lovereading4kids website. 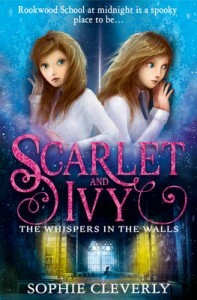 Twins Ivy and Scarlet attend Rockwood School – a boarding school – already the scene of strange goings on. This book will have young readers on the edge of their seats. Scarlet is a trouble maker – and when things are stolen from another girl, Ivy suspects her sister. Spooky corridors and secret rooms and a mystery to be solved – it’s spine tingling stuff. For ages 9+. This was released back in September 2015. Chris Judge’s delightful Beast is back for a fresh adventure – and this time with a new friend. Beast has been robbed. And so has the whole village. 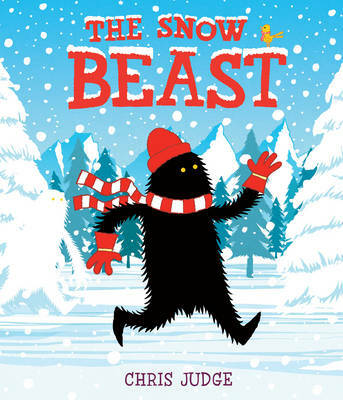 Without their tools, their Winter Festival is in jeopardy – so Beast sets off to investigate. For age 3+. 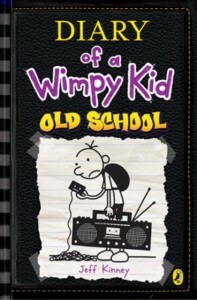 Book ten of Jeff Kinney’s best selling series was published on 3/11/15. The generation gap is a theme in this book: Greg doesn’t understand his parents’ conviction that everything was better in their day. 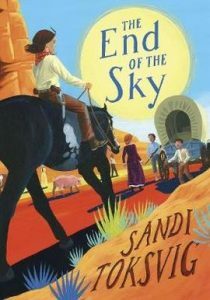 Sandi Toksvig’s mini-epic is a roller-coaster of a read that races headlong through an important slice of history bringing it vividly to life as it does so. Slim, a young girl growing up in Ireland at the time of the potato famine, tells the sometimes harrowing but nonetheless always hopeful story of her family’s plight at home and flight to a better life. When Slim’s father swaps the family pig for the letters of a printing press because he believes that the power of print will free Ireland from its oppressive landlords, he sets off a chain of troublesome events that lead to the family emigrating to America. Life on the long sea voyage across the Atlantic including new friendships and terrible tragedies, the hope, disappointment and then renewed hope on arrival are all recounted in a lively manner. 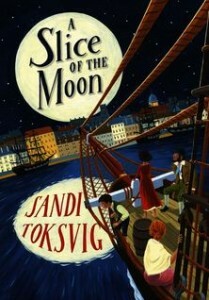 Sandi Toksvig brings alive important-to-know radical history by dressing it up in a fine coat of adventure. For ages 9+. This was published on 31/12/15. Bertie (a giraffe) is happy to spend his days with his herd – eating and sleeping. One day, he oversleeps and wakes up alone. He’s lost and frightened until he meets Blue. Blue reassures him and shows him new places – then helps him to find his herd. Will Blue be accepted by the others in Bertie’s herd ? 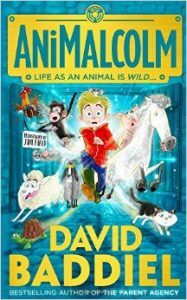 This is a comforting and funny story – exploring friendship, independence and embracing the unexpected. This was published on 1/1/16. Rose is 11 and autistic – she struggles to understand her classmates. When her father gives her a stray dog (which she names Rain), it becomes her best friend, her anchor in a confusing world. 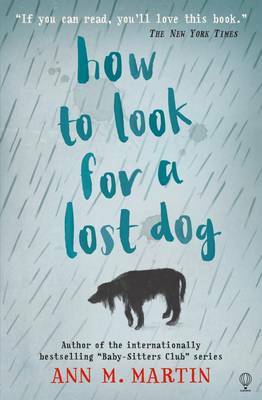 When Rain goes missing during a storm, Rose refuses to give up searching. This seventh ‘Timmy Failure’ book was published on 7/1/16. 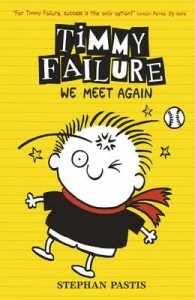 Perfect for Wimpy Kid and Barry Loser fans. Timmy is striving for greatness once more – with unexpected consequences. Hilarious drawings add to the humour. For boys and girls age 7+. 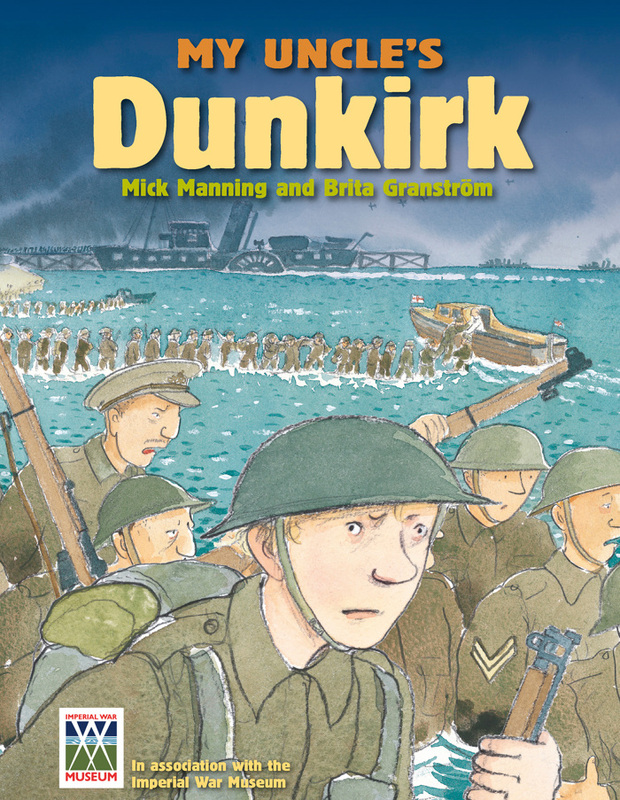 Published in May of 2011, this is a moving story that invites children to discover one of Britain’s most tragic and heroic wartime events. Through the picture book medium, it cleverly tells the story of a relative who is reluctant to share his wartime memories. This book has been produced in association with the Imperial War Museum. 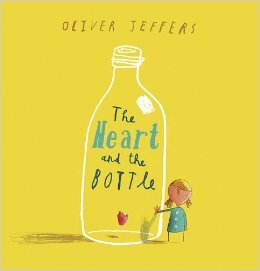 To overcome her sadness when her grandfather dies, a little girl decides to protect her heart from any further suffering by putting it in a bottle. For a time it works, but living without a heart turns out to be living only part of a life – and soon the little girl needs to get it back. Luckily, there is somebody who can help her. A story to return to time and time again. For age 3+ Also on CD. 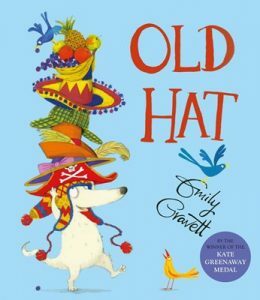 Written by Emily Gravett, this won the Kate Greenaway Medal in 2008. 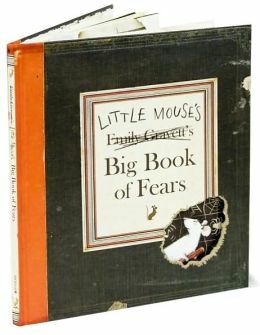 Through nursery rhyme stories, follow Little Mouse as he confronts his many fears – including Ablutaphobia (fear of bathing) and Ligrophobia (fear of loud noises). This picture book is packed with details and novelty elements – including flaps, die-cuts and a fold out map. This was published on 3/2/16. One day, a bear cub finds something strange in the forest. When he touches the keys, he begins a journey that takes him away from his home to a new and wonderful land. This was published on 1/2/16. There once was a bear who liked to stare. Bear doesn’t mean to be rude, he’s just curious….but nobody likes being stared at and it soon gets Bear into trouble. Luckily there’s a goggly-eyed frog to set Bear straight. The Bolds are back – cause for celebration ! 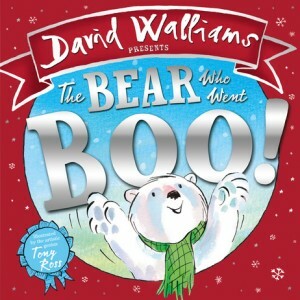 Written by Julian Clary and illustrated by David Roberts, this is a book that will have children in stitches. 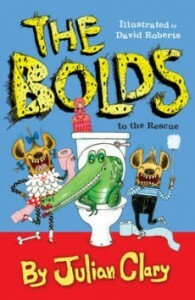 For those that don’t know, the Bolds are a family of hyenas living happily in Teddington disguised as humans. Word of their lifestyle has spread through the animal world and in this episode, a series of unhappy creatures turn up at their door looking for help. Ever optimistic and warm-hearted, the Bolds welcome them in and start teaching their guests how to be human. It’s ludicrous, charming and very, very funny, with a subtle underlying message about live-and-let-living. As delightful as their first adventures, and that’s really saying something. 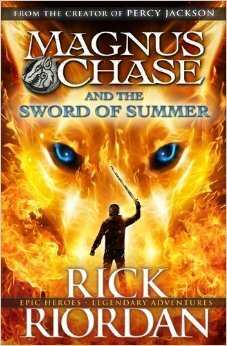 This new book was released as a hard back on 19/5/16 – with full colour illustrations by Tony Ross. It is a wickedly and wonderfully surreal collection of ten stories about ten delightfully dreadful children. Five beastly boys and five gruesome girls ! Sofia Sofa is a TV super fan and is so stuck to the sofa that she’s turning into one ! Dribbling Drew’s drool gets him into all sorts of trouble on a school trip. Not to mention Blubbering Bertha – who bawls and tells terrible tales. 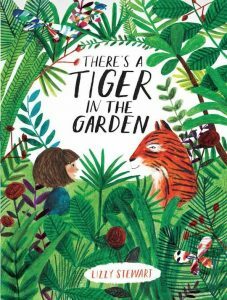 So even when Nora sees butterflies with wings as big as her arm, and plants that try and eat her toy giraffe, and a polar bear that likes fishing, she knows there’s absolutely, DEFINITELY no way there could be a tiger in the garden …or could there ? Dictionaries don’t come more fun than this celebration of Roald Dahl, – and the joy he took in ‘gobblefunking’ – playing with words and inventing new words and meanings. 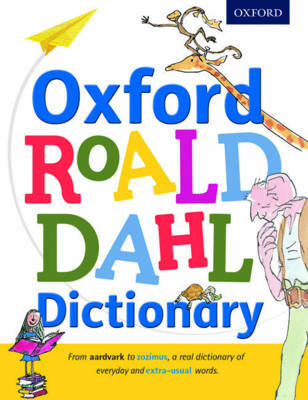 Dahl had an extraordinary understanding of what children like and used onomatopoeia to create words full of sounds that children love to say: ‘lickswishy’, ‘wondercrump’, ‘phizz-whizzing’ and of course ‘scrumdiddlyumptious’ are all featured in this ‘extra—usual’ dictionary. In fact there are almost 8,000 real words and made-real-by-Dahl words. They are mostly words featured in his books and some are just there for fun. This is a book to browse happily for hours on end. 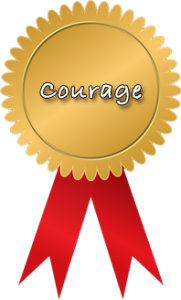 It will encourage children to invent words themselves and liven up their own writing. It has colour illustrations by Quentin Blake on every page. This is squiffling in every way ! This book was published back in January (2016). 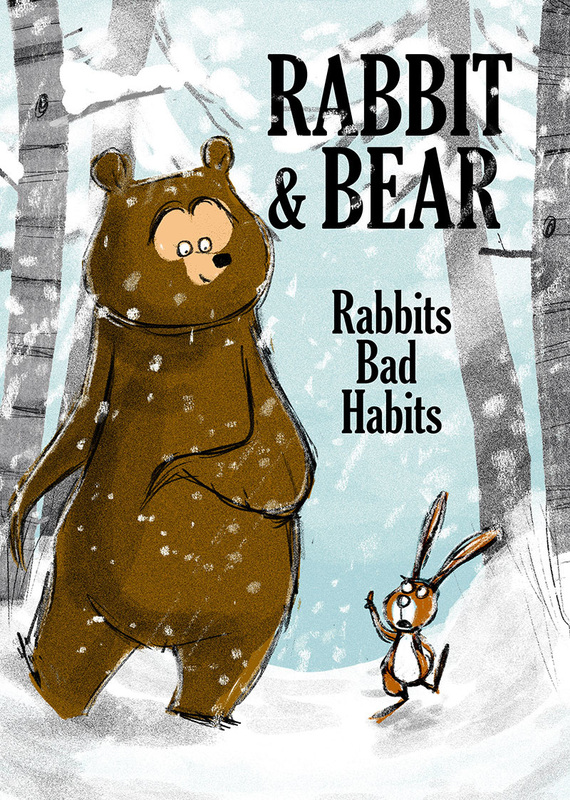 The Guardian newspaper (28/5/16) said: ‘Bridging the gap between picture books and chapter books, and demonstrating that expansive, exuberant illustrations shouldn’t be limited to the former, is the funny ‘Rabbit & Bear – Rabbit’s Bad Habits’ by Julian Gough and Jim Field. This is on the shortlist for the Kate Greenaway Medal. 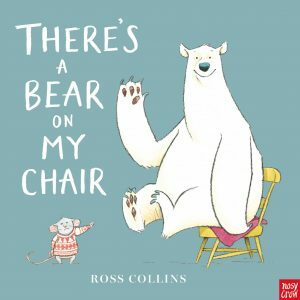 Mouse is cross because there’s a bear – a polar bear – on his chair. The text is a series of funny statements constructed around words that rhyme with ‘chair’. If you search for the book’s title in YouTube, there’s a video of it being read aloud. The video has all the text and illustrations. At midnight on Midsummer’s Eve, Miranda’s nightlight goes out. She climbs on her rocking horse and makes a wish. 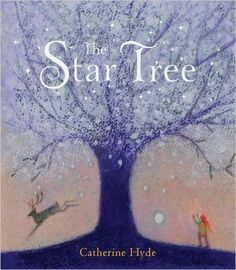 This starts a magical midnight journey involving the great white owl, the little red hare, the big white bear and the giant stag – all the way to the Tree of Constellations….. This is a magical, mysterious picture book with beautiful, dreamlike illustrations. 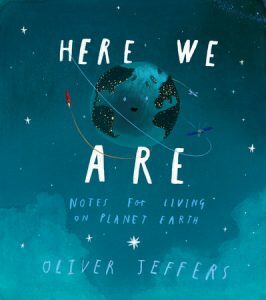 Storyteller and artist Oliver Jeffers and typographic artist Sam Winston have created this adventurous and original picture book. Through words and pictures, it takes children on a journey of discovery through some of the greatest literature of all time. The child in the story floats across a sea of words made from words and lines from classic children’s stories. 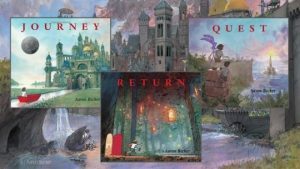 The journey recreates fairy tales, forests and monsters – showing children the importance and power of their imagination……. Published 1/9/16. For age 3+ There is an animated trailer for the book on YouTube. 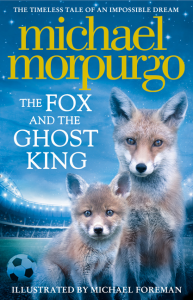 Michael Morpurgo’s latest has been inspired by Leicester City’s historic premiership win – and was first written for BBC Radio 4’s ‘Today’ programme. The story tells of how foxes discover the remains of King Richard III – and, as a result, change the fate of The Foxes (Leicester City). 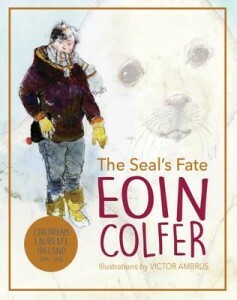 The book is illustrated by Michael Foreman. YouTube has a clip of the author reading an extract. 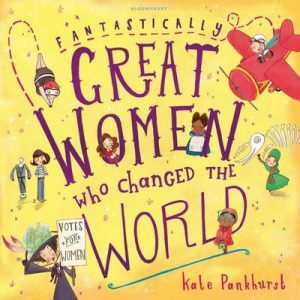 Kate Pankhurst, descendant of Emmeline Pankhurst, has created this wildly wonderful and accessible book about women who really changed the world. The book will let you fly through the sky with the incredible explorer Amelia Earhart, and read all about the adventures of Mary Seacole – to name but two of the featured women. 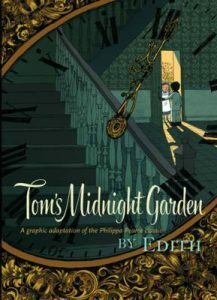 Renowned graphic novel artist, Edith, has created an enchanting version of Philippa Pearce’s famous novel Tom’s Midnight Garden. 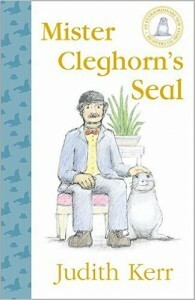 This is a new and special way to read and share one of the best-loved and most enduring children’s stories of all time. A story with a special place in the hearts of grandparents, parents, and children everywhere. 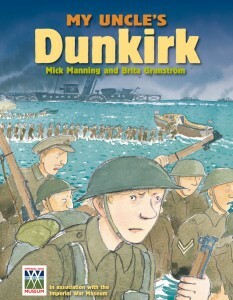 This wonderful graphic novel adaptation is faithful, accessible, and stunningly illustrated. 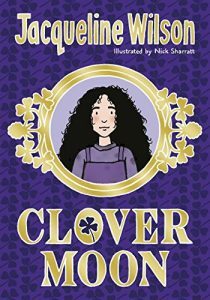 Clover lives in a grimy backstreet of Victorian London with six younger siblings, her weary father and his sharp-tongued second wife. Devoted to her sister Megs, Clover is quick to learn her letters and she loves to paint and draw. But, despite her talents, she is condemned to life as a household skivvy. Then a chance meeting with an artist gives her an inspiring glimpse of another world – and an idea of how she might find it. The story has a guest appearance from Hetty Feather. This second instalment of J.K.Rowling’s Harry Potter sequence – with amazing illustrations by Jim Kay – was recently released. Jim Kay won the Kate Greenaway Medal in 2012 for his art work in Patrick Ness’s Carnegie Medal winner ‘A Monster Calls’. 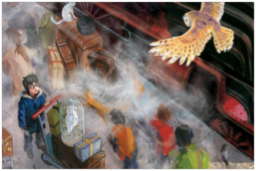 The Harry Potter Fan Zone website has a video and examples of the illustrations. Malcolm doesn’t like animals. This is a problem because his family love them. Their house is full of pets. What the house is not full of is things that Malcolm likes – such as the laptop that he wanted for his birthday. The only bright spot on the horizon is the Y6 school trip – which turns out to be a farm ! A laugh-out-loud adventure story from the author of ‘The Person Controller’ and ‘The Parent Agency’. 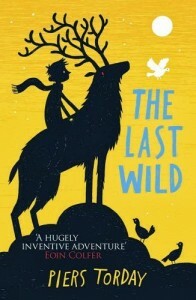 The website www.lovereading4kids.co.uk has a 30 second trailer for the book. Tom Fletcher is the co-author of ‘The Dinosaur That Pooped’ series and is McFly’s guitarist, singer and songwriter. ‘The Christmasaurus’ is about a boy named William Trundle and a dinosaur. It’s about how they meet on Christmas Eve and have a magical adventure. It’s about friendship and families, sleigh bells and Santa, singing elves and flying reindeer, music and magic. Francie and her mum (who is expecting a baby girl) are driving home from grandma’s in the heavy rain. They stop for a picnic – and as the car steams up, Francie presses her finger to the window and spells out ‘Daddy’ and ‘Mummy’ – and leaves a space for her soon-to-be sister. 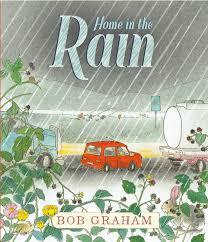 Another beautifully observed and illustrated book from Bob Graham. It’s December 1941 and Emmaline has been evacuated to Briar Hill Hospital in Shropshire. When she gets there, she discovers a secret that’s not to be shared with anyone – not even her best friend Anna. 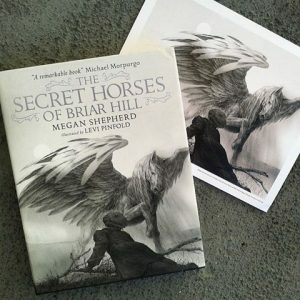 This is Emmaline’s secret: there are winged horses living in the mirrors of Briar Hill. The book is beautifully illustrated by Levi Pinfold. Levi Pinfold’s ‘Black Dog’ won the Kate Greenaway Medal in 2013. This was first published many years ago as part of a short story collection. It has now received an illustrated hardback release. It’s part adventure story and part ghost story. Cherry is collecting pink cowrie shells to make the longest necklace ever – and it’s nearly finished. But Cherry’s family holiday is nearly over – and she only has one day left to collect the shells that she needs. This is great fun – and is full of flaps and surprises. YouTube has the author reading it and turning the pages. 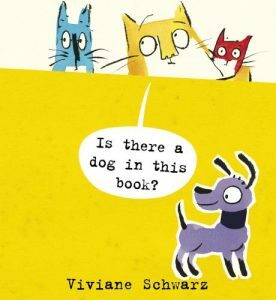 The book is written and illustrated by Viviane Schwarz. 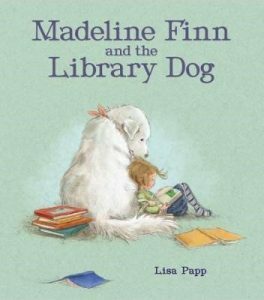 Class 4PK discovered it in their Library Service fiction loan (January 2017). This is the second Beaky Malone book. 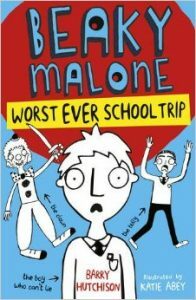 ‘Beaky Malone – World’s Geatest Liar’ was published in June 2016. In this second instalment, Beaky has not told a lie for 92 hours. So far, he’s survived two full days of school with only three light beatings, two telling-offs and one wedgie ! But the annual school trip is going to take Beaky’s survival skills to a new level. A book that will have readers laughing out loud. 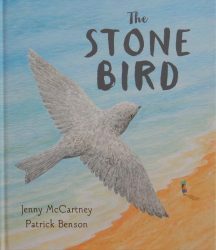 Illustrated by Katie Abey, it was published in January 2017. 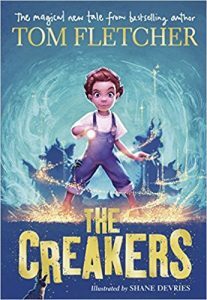 Eleven-year-old Daniel Jeremiah Chambers has parents Philip and Susan who love work and shopping and who just don’t listen. Daniel is an only child … no, he’s lying … he has a sister, Alice, who has a dolly fixation; Dan is sure she is an alien. 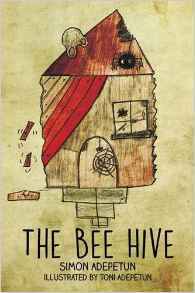 So, Dan has a few problems, none insurmountable, until his friend, Benji, introduces him to the find of the century – a derelict bee hive which could become a den. Of course, such a simple thing is never so simple and when Dan finds a map well, all kinds of things just go horribly wrong.